My visit was with the nurse and I was literally there for 10 minutes. I never wait long, the staff iscourteous and very professional. Dr. Dash and Dr. Irwin have been my daughter's pediatrician since she was born. I hope I never have to change doctors. She loves going there. My visit was with the nurse and I was literally there for 10 minutes. I never wait long, the staff is courteous and very professional. Dr. Dash and Dr. Irwin havebeen my daughter's pediatrician since she was born. I hope I never have to change doctors. She loves going there. 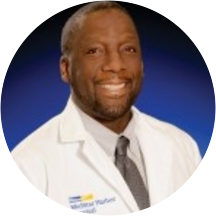 William Dash is an experienced and mindful pediatrician serving the community of Baltimore, MD. Dr. Dash attended Howard University, where he received his medical degree, and completed his internship and residency at Harlem Hospital Center. Dr. Dash is a part of MedStar Harbor Hospital - Pediatrics. He is board certified by the American Board of Pediatrics. Dr. Dash is devoted to ensuring the longevity of his patients’ health and developing long-lasting relationships with them. He takes his time to understand symptoms and give correct diagnoses to ensure the continued health of all his patients.